The U.S. Environmental Protection Agency (EPA) recently launched the Food Waste Challenge— a collaboration between the EPA and the U.S. Department of Agriculture (USDA)— which aims to further America’s efforts to reduce its carbon footprint while simultaneously addressing food waste and hunger. The initiative invites businesses and organizations across the food chain to develop strategies to reduce food waste and to redirect more unspoiled food — that would otherwise end up in landfills — to food pantries, food banks, and other food recovery organizations that serve many of America’s most hungry and undernourished citizens. The Food Waste Challenge functions as an extension of the efforts of the Food Recovery Challenge, which launched in 2010 and currently has roughly 200 participating organizations, to combat food waste in America. The Food Recovery Challenge provides free technical support for participating organizations to help them track and gradually reduce their food waste. These initiatives are coming at a time of great need for further efforts to address food waste and hunger in the U.S. A USDA study found that 14.5 percent of households in the US were food insecure in 2012, while a 2012 study by the National Resources Defense Council reports that about 40 percent of the food America produces goes uneaten—much of which ends up in landfills. Food makes up one of the two largest components of U.S. landfills, and food that decomposes in landfills increases greenhouse gas emissions (methane) contributing to climate change. Food waste also increases the demands for food production and transportation—processes which consume energy and contribute to greenhouse gas emissions. The Food Waste Challenge will collaborate with the Food Recovery Challenge in a dual effort to decrease the negative environmental impacts of food waste and increase energy conservation by raising awareness about food waste while also providing organizations with the tools to make measurable progress toward more sustainable food management programs and policies. Organizations participating in the Food Waste Challenge will help cultivate and disseminate best practices in food waste reduction, while participants of the Food Recovery Challenge set measurable quantitative food waste-reduction goals that the EPA will help them to meet by offering them tools (data management software and technical assistance) to quantify their progress and attain their goals. 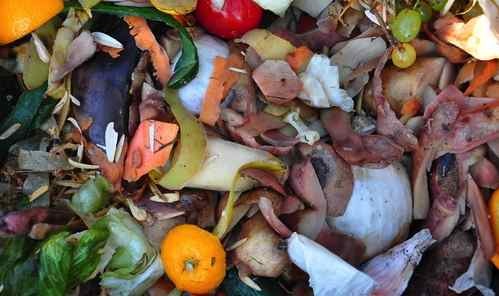 The EPA aims to obtain 400 partners by 2015 and 1,000 by 2020 for the Food Waste Challenge — an initiative they hope will lead a shift in the way that the U.S. thinks about food and food waste management.